Syracuse University Press, 9780815608509, 157pp. 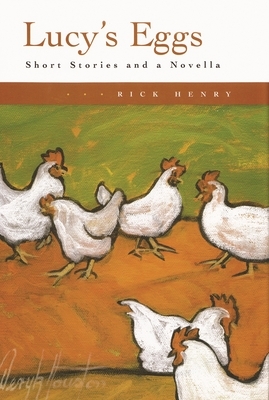 Lucy's Eggs: Short Stories and a Novella is a collection of four stories and a novella, all set in Homer, a town in upstate New York that is both particular and universal in its representation of small-town life. Rick Henry's vivid characters, at once intimately familiar and wholly unique, are combined with masterful narration to deliver a series of stories the reader will not soon forget. Set in the late 1800s and early 1900s, the title story chronicles the life of Lucy Delano as she bears witness to the dramatic changes that her small town confronts. Fiercely independent and deeply connected to the land, Lucy endures the loss of her parents, desertion by her husband, and alienation by the townsfolk. Through Lucy's blend of strength and vulnerability, Henry powerfully explores issues of individuality, loneliness, and grief. In The Telephone Girl, a young man struggles to act on his emotions for Mimi, the telephone girl of the title. His paralysis, naivete, and repression are deftly treated with humor and poignancy. Cardinal Wars details the competition between two neighbors to attract birds, specifically, colorful cardinals, to their backyards. a bright, warm blast of color during the long, bleak winter. Filled with energy and life, each story depicts vivid images of rural life and the deep but subtle range of human emotion. Henry's lyrical, often elegiac, prose is evocative of Thornton Wilder and William Kennedy. This book will appeal to the general reader but especially to those with an interest in regional literature.